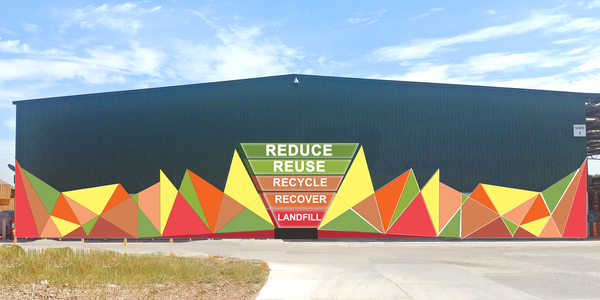 A $7 million facility in Dandenong South is set to save loads of construction and demolition waste from landfill. 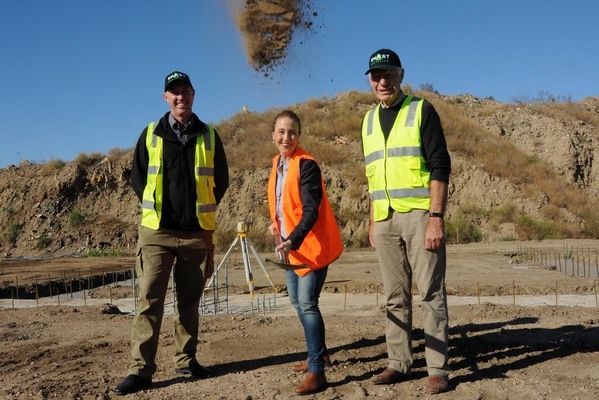 Work has begun on the 4050-square metre Smart Recycling facility, which will sort bricks, concrete and timbers for a new purpose. It’s about finding new ways to turn waste into worth, managing director Ward Petherbridge said. Brick and concrete can be re-used as crushed aggregrate. Timbers can be sorted for particle-board flooring or mulch. 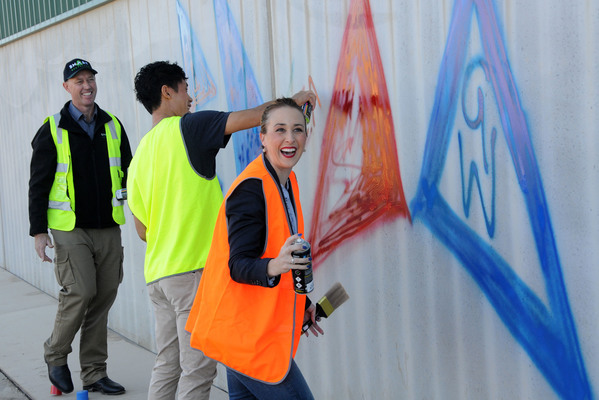 Work is also starting on a massive 30-metre mural painted by Connections Arts Space artists at the front of the site. Mr Petherbridge said the Polynesian-inspired design with recycling themes would add colour and vibrancy. “Usually you roll up to a tip and it looks like a tip. Up to 30 Smart Recycling workers and young CAS artists including refugees and recent immigrants are expected to work on the mural. It’s important to give the facility an inviting and attractive appearance, Mr Petherbridge said. “We’re always tarnished with a negative brush. People want these facilities but not in their backyards. After China rejected great tracts of Australia’s recycled waste last year, the industry got a huge “wake-up call”, Mr Petherbridge said. More private investors needed to invest in a domestic recycling solution, rather than shipping its waste overseas or burying it, he said. Smart Recycling transforms 90 per cent of its incoming waste into soil, mulch, aggregrate and recycled timber products and other eco-friendly products. The new facility is expected to divert up to 160,000 tonnes of material from landfill a year, Mr Petherbridge said. The State Government has granted $500,000 towards the facility. It is part of a $4.8 million third round of the Resource Recovery Infrastructure Fund, which supports 20 recycling projects in diverting more than 350,000 tonnes of waste from landfill a year. Dandenong MP Gabrielle Williams said the grant would help develop a “circular economy”. “The more recyclable material that we keep out of landfill, the better – and these projects will help us do that.